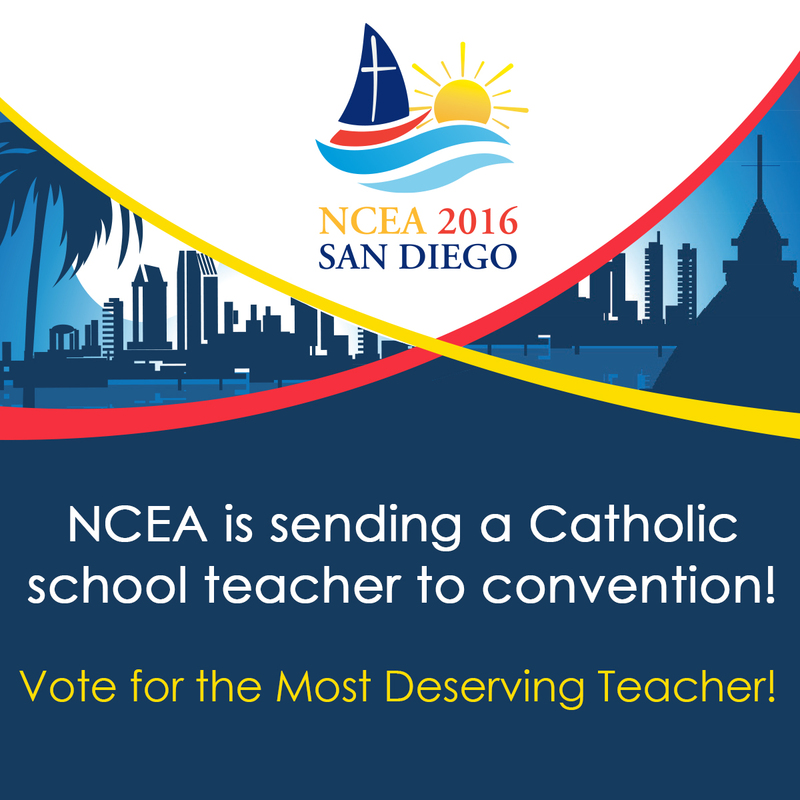 NCEA is sending a deserving teacher to NCEA 2016 Convention and Expo. Live voting is now open on the NCEA Facebook page. Like our page and vote for your favorites. Need help deciding? Here are reasons why others think you should vote for them! Urban Dictionary defines the word, “bomb-diggity,” as “a description of something that is better than excellent, great, good, amazing et cetera.” So when applying this pop-culture word to the Catholic education world, one might ask, which teacher around them is the bomb-diggity? 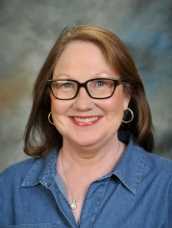 Which teacher in the Catholic School System is “better than excellent, great, good, and amazing?” Angela Ferguson of St. Richard Catholic School in Jackson, MS embodies the very definition of being the bomb-diggity in education. Like the ultimate bomb-diggity teacher, Jesus Christ, she teaches with passion, patience, and an unsurpassed love for her students. Not only does Angela teach with passion, she also is the “bomb-diggity” due to her patience. Teaching children can be a highly frustrating profession. A Catholic educator is so much more than a teacher and spiritual leader. A Catholic educator is also required to wear many other hats such as a mentor, friend, nurse, disciplinarian, confidant, counselor, advocate, lawyer, prayer- partner, and even a janitor. 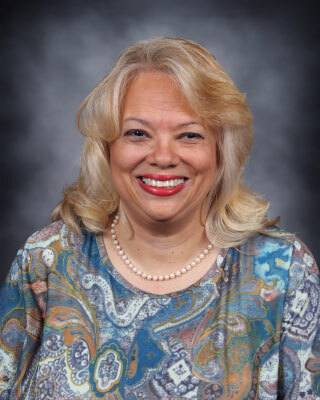 Pope Benedict XVI is quoted as saying, “First and foremost, every Catholic educational institution is a place to encounter the living God who in Jesus Christ reveals his transforming love and truth.” Angela Ferguson personifies this statement. She allows Jesus to work through her to touch the minds and lives of all her students past and present. St. Richard Catholic School and Catholic education all over the world is blessed to have the most “bomb-diggity” teacher ever in Angela Ferguson. Mrs. Kemple is a preschool teacher who also teaches Spanish to our entire school. This requires that she give up planning time, but she gladly does it in order to share her heritage with our student population. Additionally, she is the PTA President (her daughter attends our school), heads up the Renaissance Learning Program, is part of the Welcome Back Committee, Co-chairs Catholic Schools Week, Organizes the Christmas movie event, plans field trips for the school and helps out in the parish religious education program. She is devoted to our students and her faith and lives it daily. It is for these reasons that she deserves to be sent to the NCEA in San Diego! Andrew is a Chaminade alum, and a veteran Social Studies teacher. He has an immense love and respect for our students and for sharing his faith with them in a very real and authentic way. Four years ago, Andrew starting a student faith sharing group from the ground up that now regularly involves over 20% of our students in weekly prayer, and bi-weekly faith sharing and fellowship on Saturday nights. Andrew is a master teacher, and is pursuing a doctorate in curriculum and instruction to further take a leadership role in the school. He is a devoted husband and father, and is a model example to our students of what it means to be a man of faith. 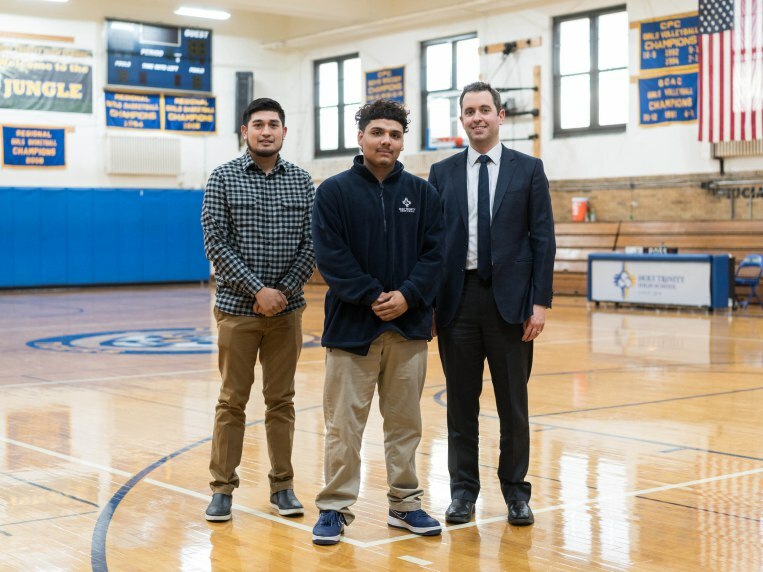 His attendance at the NCEA conference would not only be something he finds rewarding, but would also be something that influences our school for the better. 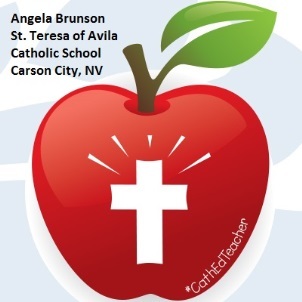 Since Angela began teaching at our school, first as a substitute teacher and then later as a full time member of our staff, she has consistently been committed to Catholic School education. 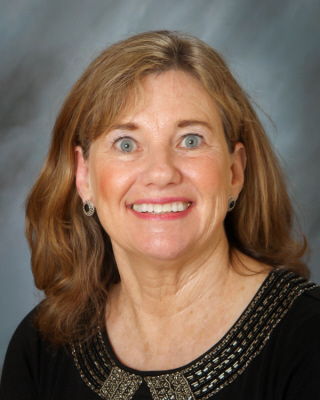 For the past several years, she has been the Religion teacher for our middle school grades. She has successfully integrated Religion with the new focus of the Catholic Church, and that is Evangelization. Our students have become very active in evangelizing the word of God, both within the classroom and also during weekly Mass as they lector. She has a deep love of Christ and is devoted to our patron saint, St. Teresa of Avila. Mrs. MacGregor has been a blessing to our school for many years. Last year she was my son’s homeroom and religion teacher. But she was far more than that; she was a shoulder to lean on when my father passed. She helped my son through that difficult time, and made him feel comfortable with the grief he was feeling. As a teacher, she has the ability to teach every child and understand how they learn. She is faithful and caring; she truly loves the children that she teaches. My son has learned so much from her, far more than just school work. She taught him to care, to love his faith, to strive to do good. Ms. Ramos has been in education for almost 30 years. 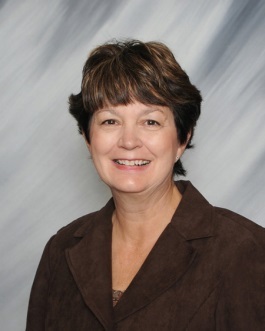 She has taught mathematics, business and technology, and has held several administrative positions over the years. Furthermore, she holds Bachelors, Masters and Specialist degrees in education. In terms of her professional attributes, I can say that Ms. Ramos is dedicated to her craft and always put the interests of her students first. She stays up to date on the latest educational technology, always encouraging fellow teachers to grow and expand their horizons, while also embracing traditional educational values that support the idea that students should be well-rounded and be given an opportunity to pursue all the areas that interest them – not only academics, but also athletics, fine arts and technology. She is, by far, the hardest working person on campus! In terms of her personal attributes, I can say that Ms. Ramos is a passionate, natural leader who all teachers look up to. She is the kind of person who still calls it like she sees it – a rare quality in today’s world! I believe Ms. Ramos will bring back (and share) any and all valuable lessons she learns at the conference to help our school continue to move forward. Anthony came to us 10 years ago as a new college graduate. Since then I have seen Anthony go on to get his Masters Degree, moderate our student council, and blossom into the excellent science and religion teacher he now is. Exploding soda, dissecting owl pellets, using playdough to teach protons and neutrons are all examples of how he makes learning fun. Each fall he spends a week with our 6th graders at Northbay- an outdoor education center where he spends his days with 50 6th graders from sun up to sun down…Anthony is professional in every sense of the word and has an unwavering commitment and dedication to Catholic Identity. As a member of our leadership team and the Strategic planning committee, Anthony always holds us to task and challenges us to make sure the decisions we make regarding curriculum, scheduling or even hiring of new staff. Anthony has helped us redefine our use of technology in instruction. While many schools are going to 1:1 devices for learning, and RSPS is no exception, he has challenged us to make sure the technology is not the only thing that drives the curriculum- that we never lose the 1:1 personal interaction between teacher to student and student to student that will only enhance learning that technology cannot replace. 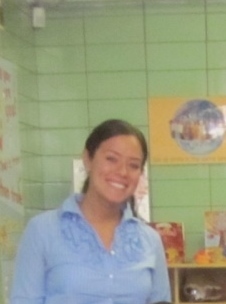 Ms. Kotas is in her third year of teaching at St. Joseph School. She goes above and beyond the call of duty to do what is good for her students. She plans lessons that genuinely engage students and allow them to be actively involved in constructing their own learning. This summer she finished her Master’s Degree in curriculum and instruction and completed her research on the effects of using constructivist techniques when teaching social studies. 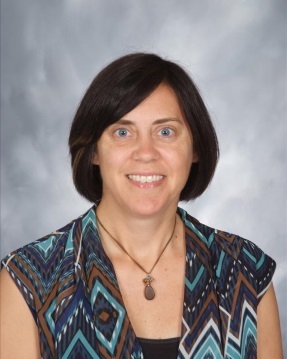 Ms. Kotas has a positive and joyful spirit and is actively involved in living out her Catholic faith. She attended a Light of the World Retreat two years ago and then served on the retreat team this past year as the main evangelizer. 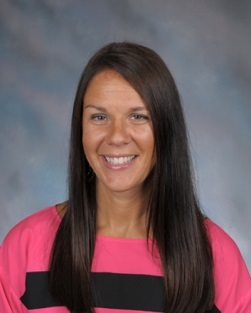 Ms. Kotas is open to learning and growing as an educator and would bring back many new ideas to try in her classroom and to share with our faculty. Barbara is truly blessing that has touched my family. She made it a point to not point out my son’s flaws but rather to show him how smart he was and gave him more than just confidence. Because of Mrs. Tremain my son likes school and learning. She is at all school functions and is dedicated to her classroom and the school. You can tell she loves what she does. She works hard to not only guide her students by teaching them but showing them the way to God. She really instills the importance of not just going through the motions but to really pray and take in everything the church has to offer. Parents and teachers have to work together to help guide these young minds and she goes above and beyond. 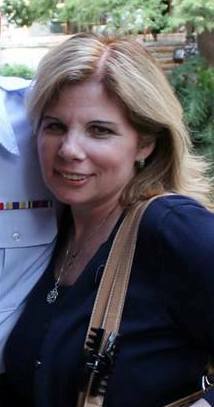 Mrs. Becky Springsteen is a fifth-grade teacher at St. Anastasia Catholic School in Fort Pierce, Florida. She is a passionate and dedicated teacher who loves to incorporate new methods and tactics in her classroom. With these new methods, she keeps her students engaged and excited about learning. All the while, she incorporates the love of Christ into all of her teachings. Her attendance at the NCEA 2016 Convention would enable her to learn even more new ideas to use in the classroom! 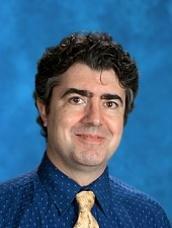 Bryan Hanrahan is a member of the World Language Department at Central Catholic and teaches Spanish. He is an innovative, creative and dedicated teacher. Starting his fourth year, it has been a privilege to watch this young and energetic teacher deepen his understanding of the vocation of the Catholic school teacher. Mr. Hanrahan is not only a passionate professional in terms of his pedagogy, but he involves himself in the life of the school by assisting with the liturgical music choir at mass, helping to coach the Cross Country and Track teams and assisting with a variety of service projects sponsored by the Campus Ministry program. Bryan is the type of young teacher that would benefit greatly from becoming involved with the larger Catholic education community and the Convention would benefit both him and our school. Many teachers are excellent classroom teachers; many excel in parent-teacher communication, in relationships with colleagues, in extra-curricular activities, in keeping up with new developments in their fields. Fewer excel at all of these things, while at the same time maintaining an intense level of family and parish commitments. 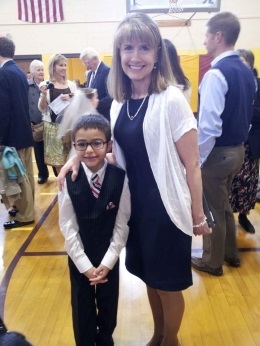 Cathy Lyons, 4th grade teacher at St. Cecilia Cathedral School, goes the extra mile, not only in her dedication to teaching, but in all aspects of her life. 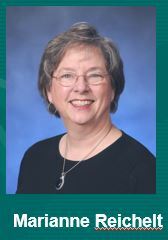 Cathy continues to grow professionally, incorporating new techniques and strategies such as cooperative learning, peer tutoring, differentiation, and multi-disciplinary lessons. She is always adapting techniques and methods to best serve the needs of her students. As a self-taught technology leader, she led the way in making computers an integral part of the curriculum at St. Cecilia School helping to mentor other teachers to expand their technology expertise. Mr. Alcala is a role model of faith and service to our entire school community. He is extremely generous with his time, talent and treasure and will do anything for the school. He assists students with anything they need, even if it means staying after hours or even weekends. 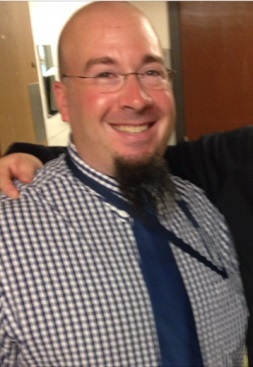 He is extremely helpful with all our faculty and staff, especially with any technology issues we may have. He gives of his time and talent selflessly and never thinks of himself first. He is such a positive person and always has something good to say about everyone. He is extremely resourceful and will always find solutions for anything that is thrown his way. 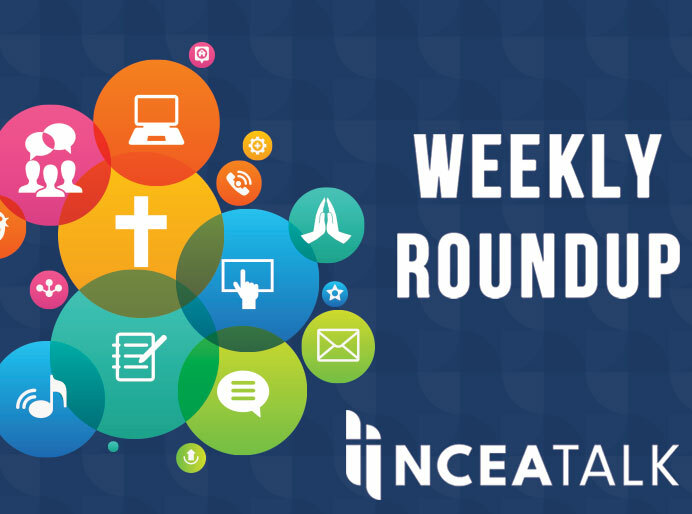 He is always looking to grow as a Catholic educator and continually tries to attend professional development that would assist with his service. He is also very generous buying classroom supplies and supplies for students that need it, even though he often struggles himself financially. He is truly a role model for all that know him and we are proud to call him our very own. 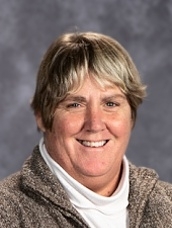 Cindy Kabat teaches 5th grade at Notre Dame School and has also taught 3rd and 4th grade at Notre Dame in her almost twenty years of experience. Cindy meets highly the standard of a highly qualified instructor as criteria for No Child Left Behind. She is well versed in Gardner’s theories of Multiple Intelligences, and uses those in every aspect of instruction. Cindy uses standardized data in her instruction and varies her teaching through uses of small groups and technology. Ms. Kabat is viewed as a leader at our elementary campus. She will be mentoring a new colleague as a fifth grade teacher. I have encouraged her to consider a career in administration as I think she would be a natural leader. Cindy also works outside of school to “walk the walk” in terms of service. This past summer she built houses as part of Habitat for Humanity. 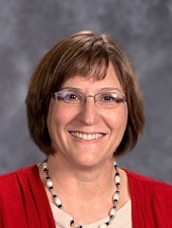 Cindy Kabat is a true role model and embodies all that is good in a Catholic School teacher. After nearly 30 years of teaching at public schools, Coleen had every reason to retire and move on to something different in her life. What she wanted the most was to continue teaching in a faith-filled environment. 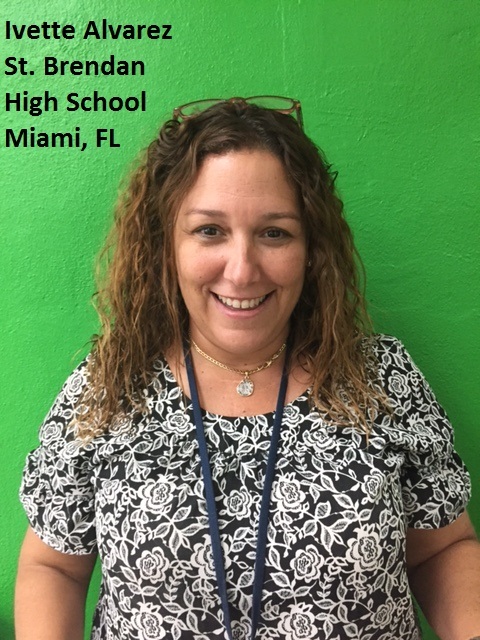 In 2015 she began teaching English at Cardinal Newman High School in West Palm Beach, FL as the English Department Head. She excels in the International Baccalaureate and Advanced Placement English programs. Mrs. Deb Schenk is not just the best but is what I would call a Master Teacher. A master teacher is one who has “mastered the basics of teaching, who goes above and beyond to ensure a positive learning experience for each student and who shares his or her knowledge with the broader learning community”. Mrs. Schenk focuses on student learning. Her goal is to see that her students succeed at whatever level they may be. She knows how to create a positive learning environment. Her students are not afraid to ask questions. I have heard her say “thank you for having the courage to ask” when one brave student put their hand up. She embraces my request for the faculty to be a risk taker. Mrs. Schenk looks for ways to learn more and improve her craft. She will seek out other opportunities that will help her grow. She is always trying new things in order to keep her students motivated and interested. She is a leader in the school, mentoring new teachers and has strong relationships with parents and ties to the community. 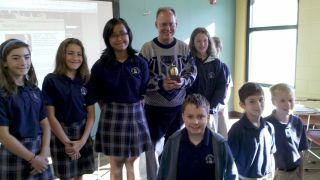 She was awarded the Golden Apple award in the Diocese of Toledo, the most prestigious award the diocese gives. Diana only has two full years of teaching experience, but you wouldn’t know it walking into her classroom. She has the skill set of a veteran teacher. 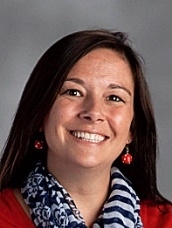 She promotes a positive classroom environment and uses a plethora of strategies in order to reach all of her students. She is willing to try new strategies, is open to constructive criticism, and is always striving to make herself better. In simple terms, she is what the future of Catholic education needs to be. A product of Catholic educational institutions from elementary school through graduate school, Marijo is a woman of faith; a faith that is well integrated in all that she is and all that she does. Her love of God and His little ones are evident in her joyful countenance and sincere effort to enrich and care for her students. In the ten years that Marijo has been on the faculty at Saint Andrew School she has demonstrated many leadership qualities. 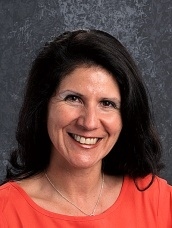 Not only has Marijo taught students, but she has shared skills and knowledge gleaned from professional development workshops with colleagues and parents. To both audiences, Marijo explained and demonstrated how a teacher plans for rigor and relevance using the Understanding by Design framework. This teacher takes responsibility for remaining current with educational trends and avails herself to helping others do the same. 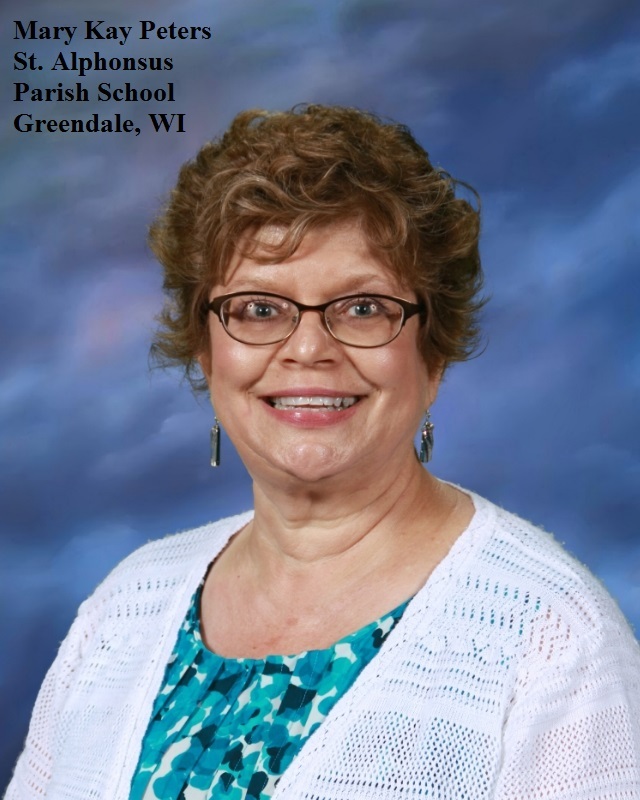 She has been a mentor teacher on the local level to new inductees and on the diocesan level as an instructor for the Early Childhood Workshops. In addition, Marijo is currently serving as the Religion Coordinator for the school. It was her initiative that brought our teachers to consider using a new Religion series. Helen is the youngest most enthusiastic teacher on our staff. She leads by example and not afraid of hard work. She begins the day at 7AM with 4 science classes and Religion Class and she has taken on an advanced math class. She uses today’s social media site format to relate to the children. Helen is one hard worker. Ivette Alvarez has a commitment to Catholic education. As a teacher, guidance counselor, and now, dean of counseling, Ivette has always advocated for every child. She has helped to instill the “counseling approach to discipline” which our school has embraced. She manages to treat the child holistically rather than just addressing the problem. It is her ability to show her love of Christ to all she encounters that makes her an advocate of the students, a friend to all teachers, and a trusted advisor for the administration. After attending the conference in Orlando in 2015, she came back even more charged (if possible) with our mission as a Catholic school which she radiated to all she encountered. If chosen to attend the San Diego conference, it would be like sending our entire school because she will bring all she gains back “home”. Mr. James Boss is a religion and social-studies teacher that strives to make a difference in a child’s life each day, as he has for 34 years. In this ever-changing educational world; teaching has become increasingly difficult as students are affected by economic hardship, new education initiatives, and a world that exalts principles contrary to Catholic faith. 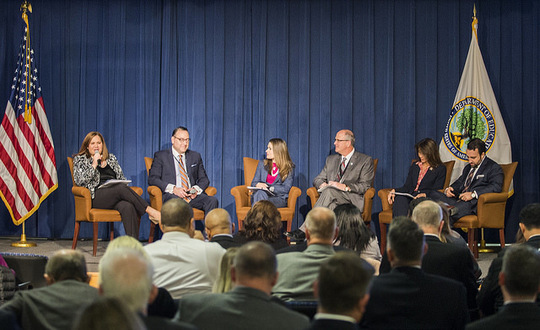 Facing these challenges, students frequently enter the classroom with barriers to both the learning process and their faith formation. Mr. Boss is effective at breaking down those barriers. He looks beyond the circumstances and challenges to see the child. The level of commitment that Mr. Boss demonstrates toward students is evidenced through their successes and devotion. Most of his students transition into advanced programs in high schools and excel. Beyond the classroom, Mr. Boss attends meetings of the Secular Order of Discalced Carmelites, Diocesan retreats, and teacher in-services and trainings. He embraced many challenging new technologies such as the Promethean Interactive Classroom. It’s difficult to imagine St. John Catholic School without him. In many ways, through changes in educational approaches, administrations, and pastors, Mr. Boss has been a cornerstone of St. John School. 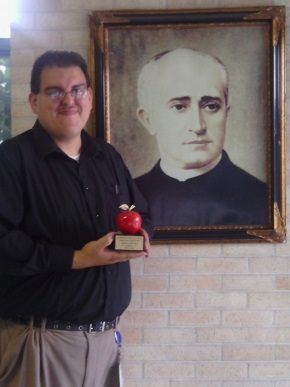 He is well-loved by our entire community as expressed when he was honored with a Golden Apple Award. He gives his heart and soul to his students and his vocation with a spirit of love that mirrors the love of Christ. Jeanne has dedicated her life to the vocation of teaching in a Catholic school. For the past 14 years, Jeanne has selflessly served our school and made a tremendous impact on our 1st and 2nd grade students. She is always willing to do what is necessary for the Faith and the success of our students. She continues to strive to be the best educator she can be. Her passion for the Faith drives her to help her students become the best they can become. In a spirit of love and the Catholic Faith, Jeanne has done many professional developments out of her own pocket, as the school hasn’t always had the funds to do so. 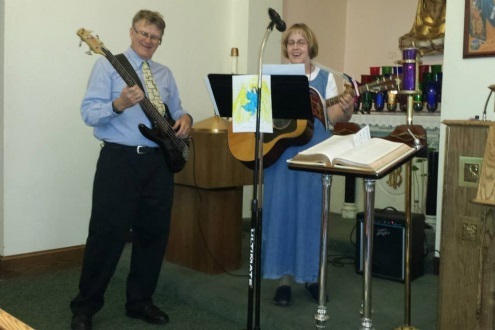 Jeanne continues to inspire and be innovative in the Faith and classroom. Mr. Boyle is a proud graduate of Blessed Trinity, returned to share his love of learning, community, faith, and service with the next generation of Tigers. Committed to excellence in literacy and language, Mr. Boyle encourages middle school students to engage challenging material and develop their own voice in writing and speech. As a coach and mentor, he shares his passion for growth and teamwork with students of all ages. His students routinely push themselves to match his personal standard of commitment to learning and growth. He is pursuing his own formation through graduate work in curriculum and instruction, to more effectively support his students and develop his craft. He deserves to attend NCEA 2016 to advance his own formation and gather additional tools to continue inspiring the next generation of BT Tigers to the beauty of the written and spoken word. 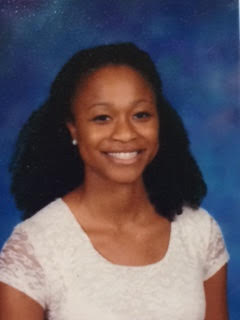 Ms. Jones is a recent graduate of Notre Dame’s ACE Teaching Fellows Program, where she earned her M.Ed. while working in high-need Catholic schools in Jacksonville, Florida and here in Chicago. She was raised in a South Side neighborhood not far from St. Michael, and she is dedicated to continuing to serve in Catholic schools. 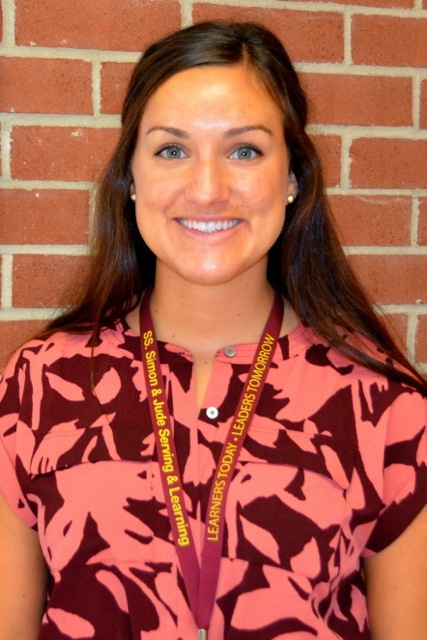 In addition to her devotion to her students, Ms. Jones is committed to her own growth as an educator and leader. After earning her M.Ed., she immediately went back for classes for her ELL certification. 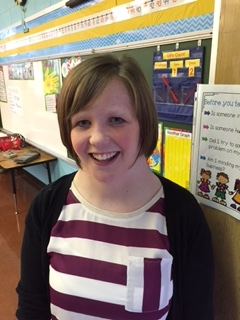 Miss Jocelyn Craft teaches kindergarten, and this year marks her 9th year in education. 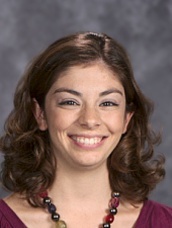 Miss Craft has boundless energy, and teaches with a dedication that our entire staff admires. First and foremost Miss Craft loves her faith. She realizes that the faith formation of students is of utmost importance. She believes that each student needs a spiritual foundation, and she makes every effort to shape her student’s faith. Each day her kindergarten students experience a loving classroom environment where they can learn about God. 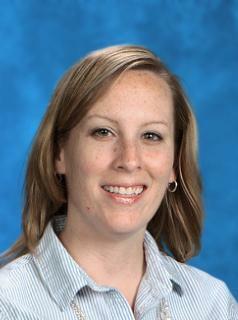 Miss Craft is also the co-chair of our Response to Intervention (RTI) Team. Her wisdom and clarity has guided our RTI Team in helping struggling students throughout the years. She has a unique ability to quietly assess a situation and offer advice on students that are struggling behaviorally or academically. Miss Craft is also exemplary when it comes to use of technology. She uses her Smart Board each day, and it is not uncommon to walk into her class and see her effectively using iPads to enhance her instruction. Earlier this year she successfully wrote a grant to purchase OSMO, a computer application that helps with problem solving and creative thinking. 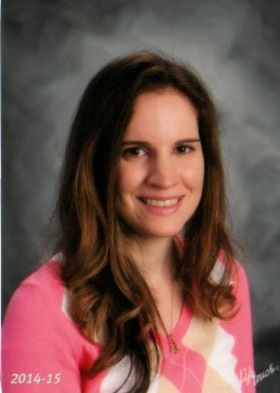 Miss Craft also serves on our Catholic Schools Week, Parent Involvement, and STREAM (Science, Technology, Religion, Engineering, Arts, and Math) committees and recently volunteered to organize and coach our first ever Math Bowl team. She is always the first person to jump in and help with any project or challenge. Mr. Skura got above and beyond his teaching at Bishop Carroll. My daughter was a shy quiet freshman and he has turned her into a confident leader now that she’s starting her senior year. Judith has been a teacher here at St. Hilary for 16 years. 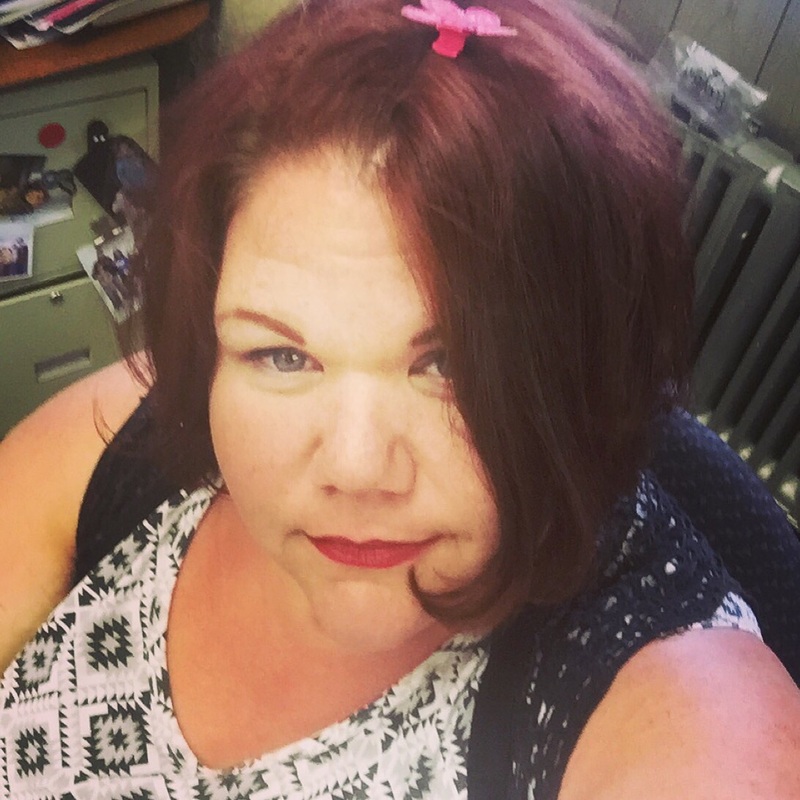 She gives of herself selfishly whether she is moderating Student Council, organizing Confirmation retreats/events, coordinating numerous graduation events/celebrations, giving up prep times and lunch hours to help students. She is the ultimate professional in her relationships with students, parents, and colleagues. In her spare time she tutors adults studying for their citizenship test and just completed her first triathlon. She is solid role model of faith, dedication, and strength to her students and colleagues. Mrs. Julia Schuster’s devotion to her faith inspires both her and her students to go out and spread the Good News! After starting a pen-pal project in 2008 with the Saruwe School in Selous, Zimbabwe, Mrs. Schuster and the students whom she teaches have expanded this global relationship by raising funds to provide eReaders loaded with books, teacher laptops, school supplies, and transportation for two of the Saruwe School’s teachers to travel to the United States to meet with the students and teachers of our school! In addition to these endeavors, Julia established an ongoing school fundraiser called the Emily Fund that provides a daily protein drink for the over 600 Saruwe students. This is the only food that the children have during their 8-hour day at school, and because of this initiative, attendance has sky rocketed because parents know that their children will be fed at school. Julia’s most ambitious project was raising $15,000 for a well to bring water to the school. With the members of her award-winning club, the Global Ambassadors, Mrs. Schuster conducted school-wide yard sales and a Walk for Water to raise the funds. After years of planning, the well was completed this year! Julia even found funding to publish the book so that her students could experience the excitement of being published authors! Another project that Julia initiated was for students to write and make an original children’s book based on one of the virtues that they were studying. The students then read their books to the children in our Early Childhood. Julianne is a dedicated and highly competent teacher who has the versatility and skills to word effectively with a range of student abilities and interests. She has created a classroom where students recognize their talents, gain confidence in their abilities and excel beyond their potential. I am totally impressed by her work ethic, her extensive knowledge, and her dedication to the mission of Catholic schools. 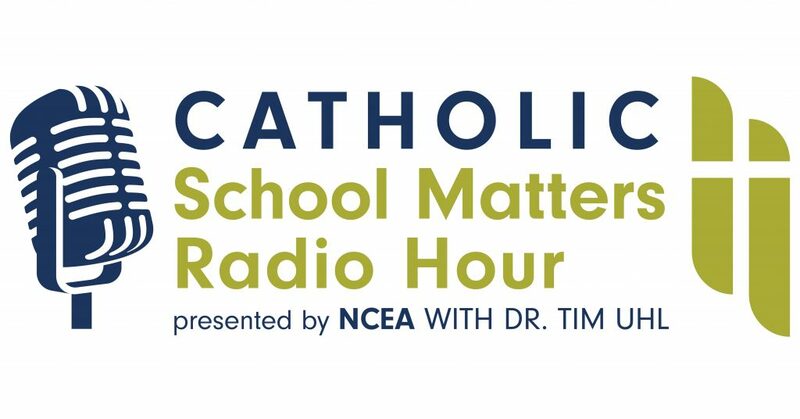 Her mission to be a Catholic school educator is one that is obvious to her students, her colleagues, and all that encounter her on a regular basis. She sees the face of God in each and every student, works to unlock the full potential of every child in her care, and helps them grow in knowledge and understanding of their faith. She loves her students and they in turn feel safe and nurtured in her classroom. 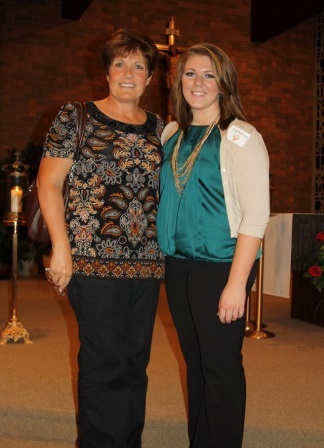 Julianne sees her position as a Catholic school teacher as a gift to share with others. Teachers new to our school find that she is always available to provide guidance, give direction and share her vast store of institutional knowledge. Scheduling and overseeing student body liturgical and paraliturgical services, coordinating age-appropriate service-learning experiences or training altar servers and Eucharistic ministers are all roles at which she excels. As a member of the Catholic Identity Committee of the School Advisory Board she is prepares annual updates for our WCEA report. Julie Kelly is a brilliant teacher who shares her gifts and knowledge with those around her. 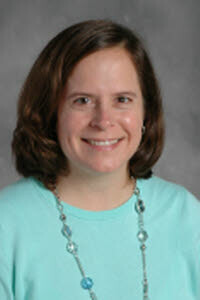 Currently she is our art and library teacher, so she works with students in all grades (preK-8). She works tirelessly to help not only the students of Saint Matthias, but also the teachers of our school and the Archdiocese. She moderates twitter chats, facilitates workshops and is active in her church. Julie Manion is one of our veteran teachers who always gives all she has to our school. She is a caring and wonderful educator who seeks to make every child learn and grow in the academics and Faith. Julie is not only teaching a 1/2 blend this year but also is our lead teacher. She is dedicated individual who always goes above and beyond. She would bring back everything she takes in at this conference and she’d share it passionately with not only Saint Francis staff members but St. Thomas Academy’s in Redmond, OR as well. 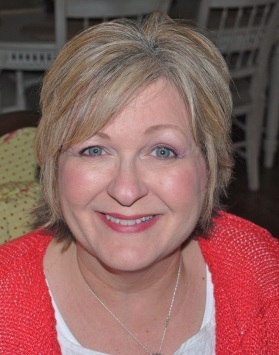 Rustie Prechel is a faith-filled teacher who is committed to “being the face of Christ” for all her students. Rustie looks for ways to accommodate her students’ various learning styles and needs while exhibiting patience, love, and care. In addition, numerous times she has come to me with ideas on ways to promote our Catholic identity and strengthen our faith amongst students and staff. Two years ago, she coordinated our school’s faith family program which brings students in grades K-8 together in multi-grade “families” to celebrate Mass and develop our spiritual component through service projects and other themed activities. Never one to focus on her own needs, Rustie instead focuses on the larger picture of ways we can make St. Ann’s a better Catholic School. There’s no doubt Rustie would take full advantage of all the resources and would return with tons of ideas and renewed energy to share with all of us here. 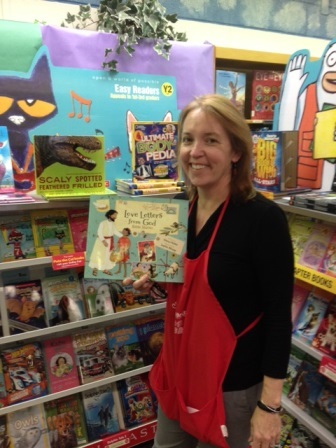 Karen Junker is our reading specialist in grades 1-4. She pulls out students during their reading time to give them additional support. She uses multi-sensory instructional strategies to meet the needs of her learners. Her approach to differentiated instruction is commendable. Not only does she work with each individual student to help him/her reach their full potential, she sees each student as a child of God with unlimited possibilities. 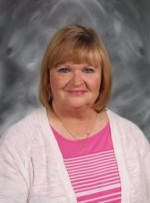 Mrs. Langdon has been a positive fixture at St. Margaret Mary Elementary for more than 30 years as a kindergarten teacher. Each morning she greets her students with a warm smile and a “Can you read this word of the day?” task as the students enter. Mrs. Langdon integrates her Catholic faith into all subjects. She is helping to create the next generation of catholic citizens and models for her students with gentle reminders when they need more practice. She regularly attends mass at St. Margaret Mary Parish and has served as RCIA sponsor. I have had the pleasure of being a long term sub in her classroom. She is organized and thoughtful in her planning and was always available. Mrs. Langdon has a strong spirit that was evident as she battled thyroid cancer a few years ago. She was back in the classroom as soon as she was able and never missed out on the events of her students. I am honored to have witnessed such a positive role model in my 13 years as her co-worker. 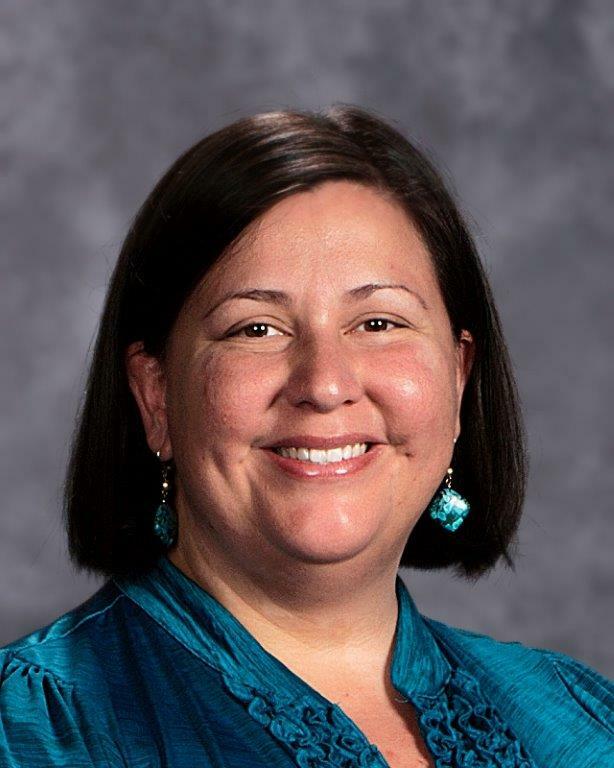 Kate LaPorte has unparalleled enthusiasm for education, her commitment to her vocation as a Catholic educator, and her continued pursuit of her professional development. 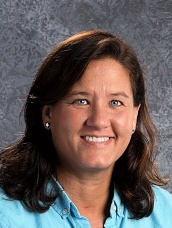 Kate lives her faith daily and shares this with her students in her demeanor, her unconditional acceptance of her students, and the faith sharing activities she provides on a daily basis. 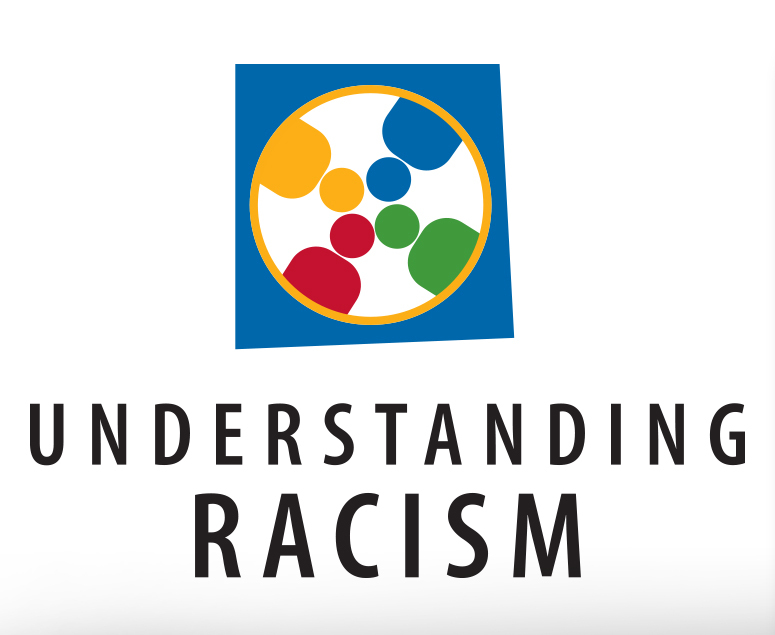 Kate incorporates the Catholic and Franciscan social justice teachings in classroom activities through gospel readings, journal writing, class discussions, experiential activities, and prayer. She creates a nurturing and forgiving environment and actively incorporates Catholic Social Teaching into the daily activities of the class. She is an excellent role model who is committed to the success of the students, parents, school, and parish. 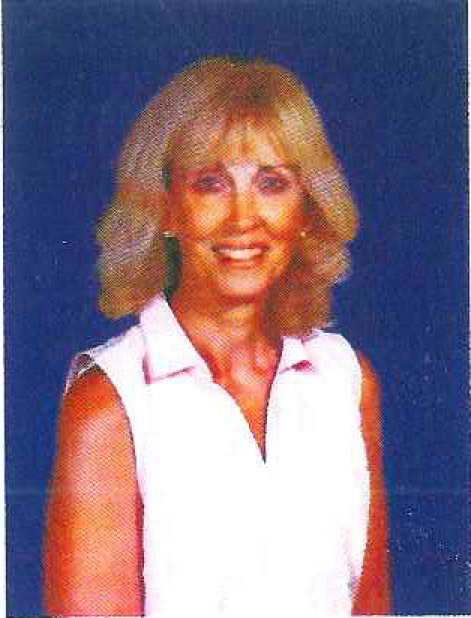 Kathy has been a teacher at St. Wenceslaus School for more than 40 years. She has put her whole heart and soul into her position here. She works to seek out the individual needs of each child and then forms her instruction based on her class. Every year that instruction might look a bit different because every year the students are different. This bond brings her a complete understanding of every one of her students and by that she is able to move them into places higher that anyone else can – academically, emotionally, and spiritually. Kathy is also a very committed staff person who takes care of all of the extras around the school. She has formed a gardening team and they work each year to plant and maintain the most beautiful landscaping in the area. Our flower gardens are beautiful. Kathy brings in volunteers to teach her students the love of gardening and in taking care of the flowers and God’s creation. They work to keep our school and parish campus attractive, alive and wonderful. In our local community Kathy is in charge of helping needy families at Christmas time. She has set up a program called “adopt a family”. Kathy makes sure that there are plenty of gifts so that the families who apply will have items needed for Christmas. Katie is a 1st grade teacher who is in her 2nd year of teaching. She is very dedicated to meeting the needs of all of her students, and works collaboratively with all the other teachers in the building. Katie is the first teacher to volunteer for committees and to go to events to support our school. Mr. Kee is extremely dedicated to his career as a Catholic educator. As a fourth grade teacher, he is constantly coming up with innovative ways to make learning fun for his students. He has created YouTube videos to teach various skills – complete with costumes and music. He brings students’ interests into his lessons to make them meaningful. For example, this year he decorated his classroom with a superhero theme and relates the use of the word “hero” into the content areas. 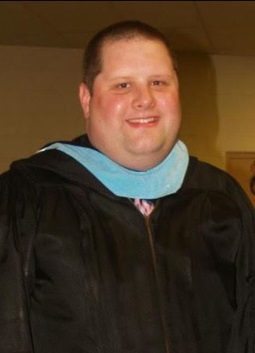 He is a very caring, committed teacher who goes above and beyond for his students and school. Kim is an amazing teacher all around. Not only did she teach my son but also worked with him after school once a week to get him to the level that helped better prepare him for 4th grade and asked for no payment. My son is a better student and person today because of having Mrs. Huser as a teacher! Laura Webster is a loyal NCEA attendee. She has missed only one convention in twelve years. Mrs. Webster takes the convention and expo very seriously. If a group attends, Mrs. Webster leads the delegation with morning planning sessions. She solicits requests from the teachers prior to attending and attends sessions to get information for others. Watch out! Laura Webster is a force to be contended with in the exhibit hall, often staying until the closing bell to collect freebies for all of her students and the faculty. Having started her employment in her first full time position in mid-year, it was a delight to watch Miss Mingioni grow in skill, confidence and enjoyment of the children! 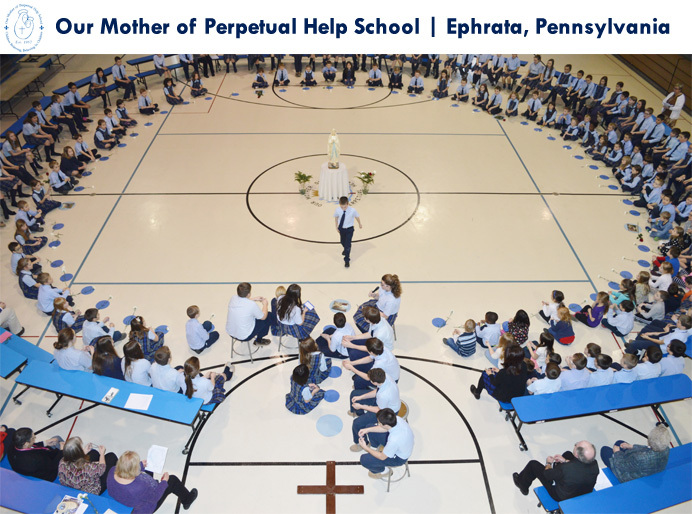 Each class begins with Math referenced prayer and is conducted within a structured but comfortable environment. Students are at ease asking questions because they know they will receive a respectful and helpful response. 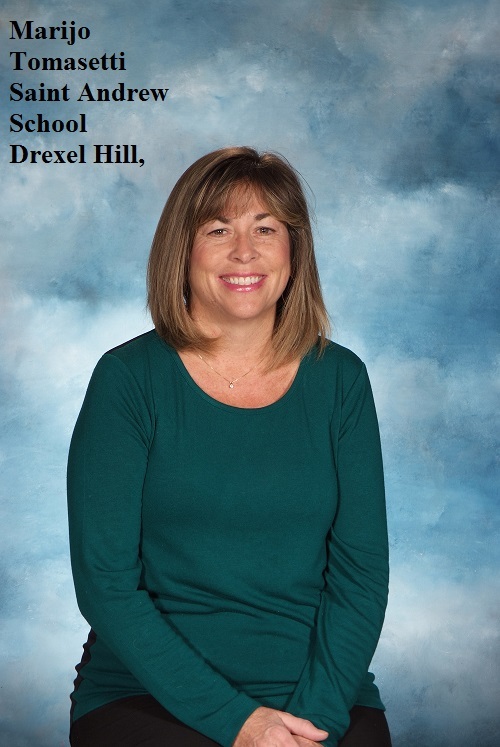 Whether with the Honors Math students or the regular eighth grade class, despite her youth and gentle manner, she has established herself as the authority and teacher who gives respect and expects it in return. Her plan is thoughtfully done and has been gradually honed to fully represent the map of performance objectives, instructional procedures and assessment. However she has also displayed the gift of flexibility after that plan is complete as she adapts to student and school-wide needs. She has worked cooperatively with her mentor, the administration, the long term sub who preceded her and has become a wonderful part of the entire faculty. As she moves forward into her first full year all who have observed her foresee a rewarding future as a very fine teacher who encourages, engages and educates her students. Catholic schools nurture and sustain the God-given gifts of every person, especially students, to be used in the mission of Jesus. St. Louis School is no exception offering a Christ-centered education that is academically excellent empowering students to reach their full potential – spiritually, intellectually, physically, socially and morally. Loretta Lowry is no stranger to this commitment. 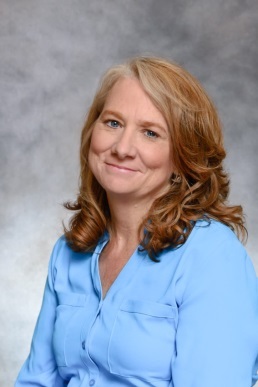 As a faculty member of SLS, she is a dedicated, qualified, and experienced teacher, who encourages her students to expand their knowledge and grow in God’s love. Her exemplary values and attitudes are not only appropriate to the intellectual and social stimulation of the students, but also to professional practices. She contributes actively to a broad range of school activities as a solid member of the school team, not the least of which is a reenactment of the Passion of Our Lord. This prayerful experience, done in pantomime, epitomizes her capacity to surround the students with a reverent depiction of one of the Church’s great devotions. Each one of them views the solemnity of Holy Week in awe, due to LoRetta’s explanation, patience and personal devotion. She is supportive of the mission statement, as it relates to the development of the whole “school family”. Teaching is not something she “does”. It is something she “is”. 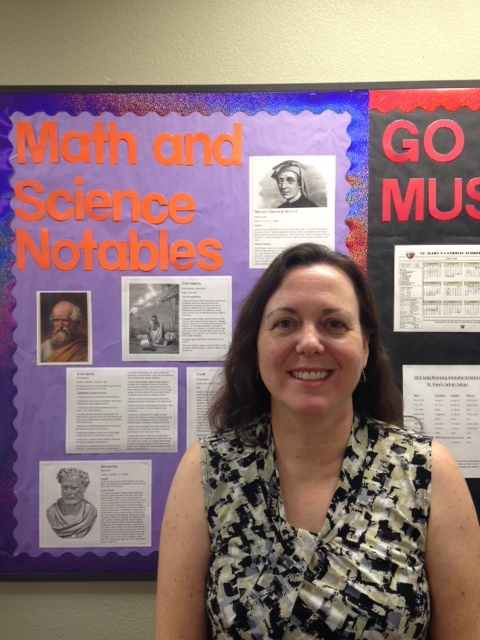 Ms. Turner has worked in the corporate world, and she is new to the position of a Catholic educator. She brings real world applications of math and science to our students. We would love to give her the opportunity to explore more insights on the beauty of her new found profession. Mrs. Maria Zumbahlen is the most outstanding and humble teacher I have ever met. Thanks to her, students are eager to attend school and understand the full meaning of respect and love for all creation. Due to her patience, understanding, and love all children know they are important to God. Numerous seminarians visit our school on a regular basis due to the bond that Mrs. Zumbahlen has created among herself, our students, and those studying to become priest. Everyone that knows Maria gets to see a wonderful example of what it means to be a disciple of God. 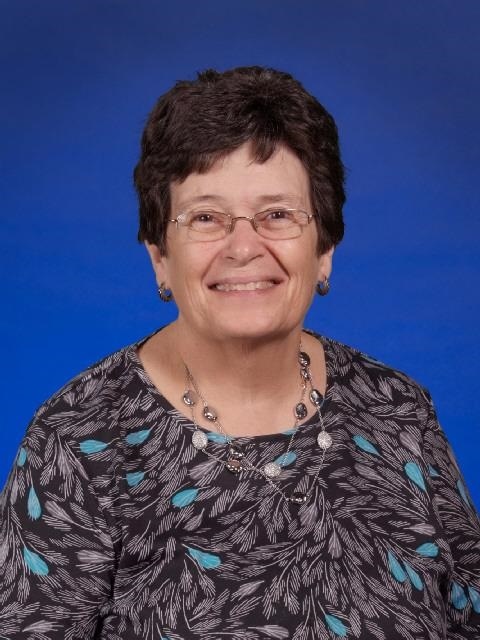 Marianne Gerwin Reichelt has been a Catholic School educator for more than 40 years, and during her 15 year tenure at Notre Dame Preparatory School (NDP), she has proven time and again that she is a consummate teacher, dedicated to her students, her colleagues, the mission of Notre Dame, and the Catholic faith. Mrs. Reichelt’s enthusiasm for teaching English continues at the same level today as if she were in her very first year of teaching. She is always looking to improve upon her craft and will spend countless hours in that pursuit for her professional development and her students. In 2011, Mrs. Reichelt traveled to Oxford, England, to study at the Advanced Placement (AP) Oxford Academy and take a personal “pilgrimage” to sites that held historical and literary meaning. This professional development opportunity allowed her to bring new knowledge back to her classroom and to the entire school, as she shared her experience with the entire faculty and staff. What sets Mrs. Reichelt apart is her faith in God. She demonstrates daily this deep faith as she works with her students and the faculty and staff at NDP. One year ago I asked Marie to become our middle school social studies teacher. Marie had been a fifth grade teacher for 7 years prior to this. Marie accepted my request and now really enjoys teaching our middle school students. She is an asset to our school and spends many hours searching for ideas and curriculum to motivate our students to learn. She has become an iPad expert as our school is a 1-1 iPad school. I feel that is she has the opportunity to attend the NCEA she will be able to immerse herself into curriculum and how to blend it with teaching hearts and minds for God while making our world a better place to live for everyone. Marigrayce is the consummate educator. She is ALWAYS looking for way to improve her instruction and her students’ learning. Even after teaching kindergarten for many years, she comes up with new and exciting learning strategies every year. Mrs. Malboeuf loves professional development. She saves her instructional days off so that she can attend the kindergarten state conference every year. She comes back with tons of new ideas and puts them to use immediately. She also serves as a curriculum chairperson on the archdiocesan early childhood curriculum committee. I have often said that the difference between a good teacher and a great teacher is passion. Marigrayce Malboeuf has passion is spades! It makes me wish that I had a child who was kindergarten age, just to experience her magic. Mrs. Mary Kay Peters has been a true leader in our school. She uses current research to lead her teaching and lives her faith without hesitation. She has a “student first” attitude and individualizes her classes needs and accommodates their learning styles by offering a variety of approaches to learning. Her recent trip to St. Louis to learn Values Based Restorative Discipline will be a turning point in our school’s approach to discipline. 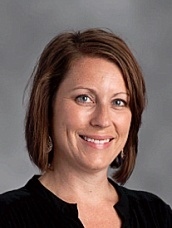 Megan Mears is an exceptional teacher who utilizes her talents to make her classroom a fun learning center. Megan is trained in Orton Gillingham, an approach that revolves around the scientifically based concept that students acquire and master language through three neurological pathways: visual processing, auditory processing, and tactile-kinesthetic processing. All students benefit from this multi-sensory approach. She leads an amazing choir with approximately 60 first and second graders. The choir performs at many events throughout the city including a Cincinnati Saints soccer game, a Neighborhood All-Star Event, in church, and at Saint Ignatius’ Olympic Day! 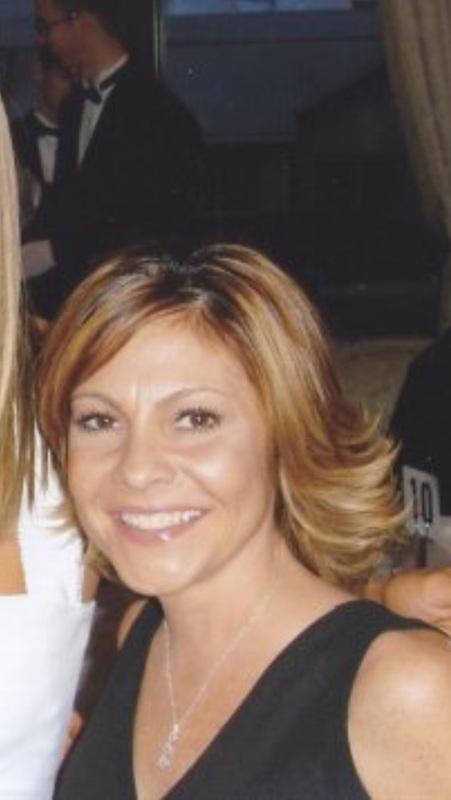 Melissa Demma is an energetic and dynamic teacher! She incorporates love of God and neighbor – the true Gospel message – into everything she does with our Kindergarten children! She is a true team player and enhances our school in ways she probably doesn’t even realize! A few days before school begins, Melissa puts the book, The Night Before Kindergarten by Natasha Wing in each child’s mailbox – at their home! She’s a true educator – the students she teaches know so much, but most importantly they know that they are loved! 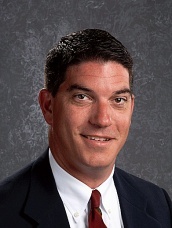 Michael Bezousek has been an exemplary role model and 4th teacher for our students at Sts. Peter and Paul for over 7 years now. He is an engaging and caring personality who meets the very demanding needs of our very high poverty, Latino and English Language Learning population. 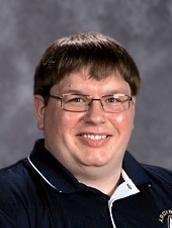 Mr. Bezousek is always positive with his peers and students and is a proud Catholic educator and product of the Omaha Catholic Schools. I could not recommend more highly Mr. Bezousek to attend this convention and represent Sts. Peter and Paul, the Omaha Archdiocese and all of our Catholic school’s community members. Mike volunteers for a myriad of school activities and clubs in addition to serving on committees like the AdvancED accreditation team and as a 1:1 technology team trainer. He continuously shares ideas and practices with his colleagues and seems to relish the opportunity to communicate and work together in uncovering new methods and ideas. His energy is limitless. Time and again I hear from parents who remark that this teacher is their child’s “favorite teacher.” It is not because his classes are easy, nor is it because he has low expectations. On the contrary, this teacher holds his students to strong curriculum standards, differentiates his lessons, and holds his students accountable. But he is revered because of his ability to form relationships with students.This teacher is loved by students, parents, and his colleagues for his dedication to his craft and his students. As a young, energetic teacher, his future is boundless. Already he has continued his education by accomplishing his master degree in curriculum. He is truly one of a kind. We are blessed to have him on our staff. Mrs. Maqboul has been teaching in inner city Catholic schools in Philadelphia for the last 18 years. She has taught from Kindergarten through 6th grade. As the 6th grade teacher here at St. Rose of Lima School, Mrs. Maqboul has distinguished herself as a teacher who can transform students with poor grades and poor self-esteem into confident, self-motivated and successful learners. She is always ready to volunteer for various school committees or help out wherever needed. In addition to being a caring, creative and stimulating teacher, Mrs. Maqboul embodies a spirit of generosity and selfless service! 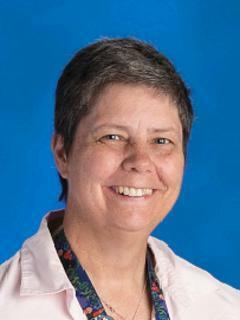 Mrs. Stallsmith has been a Catholic school educator for 24 years. She teaches middle school students in Social Studies and Science. Mrs. Stallsmith is also the eighth grade homeroom teacher, and so she coordinates all high school visits, applications, etc. Mrs. Stallsmith has directed our middle school musical for the last ten years. She works tirelessly and with endless patience to help the students create a wonderful musical program. She is a mentor teacher every year for our new teachers. She has created a binder for each new teacher – it is filled with important information about our school procedures and practices. Mrs. Stallsmith is always interested in new ideas, new strategies to implement in her classes. She is truly a lifelong learner, and her students benefit from this. Raquel’s calling and ministry began on the grounds of Mission San Gabriel; this was her parish, elementary and high school where she grew, was formed and where she decided to return to give back the many blessings she received. 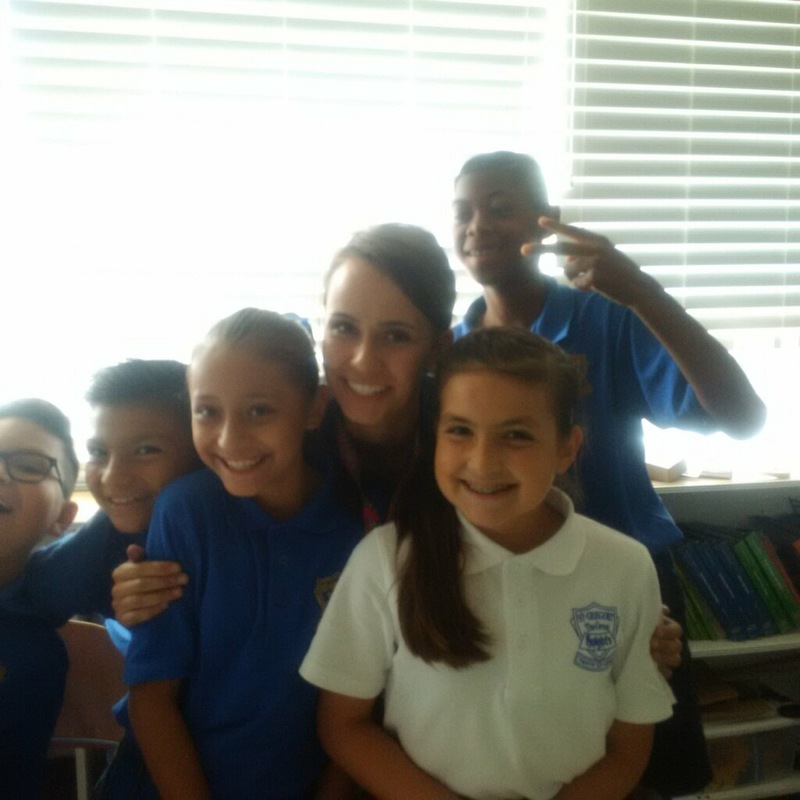 She took the Campus Ministry position at San Gabriel Mission High School where she has been teaching religion, psychology, and theory of knowledge for the last 12 years and was promoted to Assistant Principal Dean of Student Life. She has devoted herself to San Gabriel Mission High School and Catholic School Administration the last 5 years and will graduate with a second masters in Catholic School Administration from Loyola Marymount University in December 2015. Raquel’s calling is steadfast; serving God and Church through her role in Catholic Education. 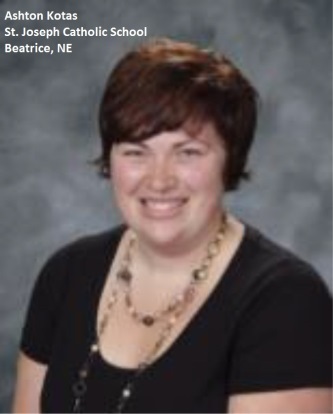 Raquel continues to hone her craft as catechist: Above all Raquel’s enthusiasm and commitment to her students and her belief that one of them will be canonized someday is an inspiration and one of the many reasons she is a great candidate to be sent to NCEA 2016. Mrs. Adams is very creative and innovative. She embraces technology and brings technology ideas to the other teachers. When teachers discuss SMART Board difficulties or YouTube problems or ‘where do I find this on Pinterest, she has the solution – ‘try this’, ‘this worked for me’, ‘oh, that’s easy’. Students enjoy her classroom because they know she makes learning fun and challenging. Mrs. Adams will get the students to think in a different way about a problem. She asks many ‘What if’ or ‘How about’ or ‘What would you do’ questions to get them thinking past the obvious answer and to stretch their thinking. For diagnoses, she is quick to evaluate student needs and gives the students the extra help or challenge they need. Her use of Daily 5 with fidelity to teach the students to learn and be independent has proven to be a benefit for the students in the next grades. She communicates with parents weekly to advise them of the week’s activities and the upcoming events. 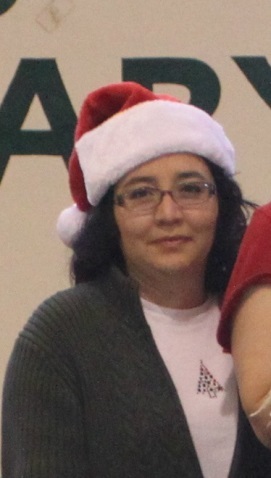 Ms. Reynoso is a 2nd year teacher at Nativity. After her first year of teaching TK (4-year olds) she decided to go to graduate school at Loyola Marymount University in the PLACE program. PLACE is a full-time graduate school program that places young 1st and 2nd year teachers in an inner-city Catholic school in Los Angeles. The teachers live in community with other PLACE Corps teachers. Ms. Reynoso is a product of Catholic education from grammar school through college. She truly embodies the spirit and dedication of a Catholic school educated individual. Mr. Tom Riello is the most passionate Catholic educator and theology teacher I have known in my 16 years in Catholic Schools. Tom, a former Presbyterian minister who has returned to the Church, knows God’s word! He takes his knowledge of scripture and provides our K4-12 school a unified path forward to incorporate it in the classroom and in service. Tom is tireless, too, in that he teaches bible study each week and helps coordinate catechetical opportunities for our entire Montgomery Deanery. I have had the privilege of knowing Ms. Flanagan for 9 years. As I looked for a school to send my daughter to, I walked into St. Bernard during Catholic schools week and found myself in her classroom. I was so impressed by how she and her colleague ran their classrooms. There was structure, faith and love throughout her classroom. I made my decision that day, and it was the best decision I could have made for both my children. Ms. Flanagan has battled serious health problems of her own, yet her passion and dedication to her students has never suffered. My children were fortunate to have her in both their pre-k years as well as their 4th grade year. During my daughters 4th grade year, Hurricane Sandy hit our neighborhood very badly; however we were fortunate that our school suffered less damage. We took students into our school from other neighborhoods; Ms. Flanagan had a classroom that year with over 40 students. My daughter and son really needed stability at school that year because our house was not livable. I never worried, she loved, taught, and cared for each of those children as if they were her own. Ms. Flanagan has also been my mentor and inspiration as I began a career in Catholic education a few years ago. I know the sacrifices she makes daily teaching in a catholic school, yet she would have it no other way. 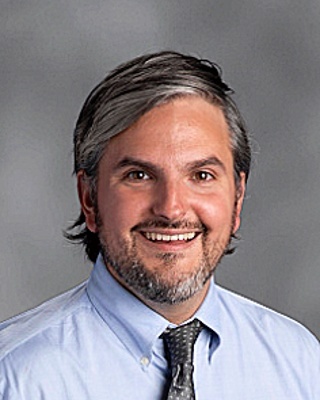 Zach Tocchi is an energetic teacher who has embraced the Holy Cross mission of Archbishop Hoban High School where we seek to educate the heart as well as the mind of each person. 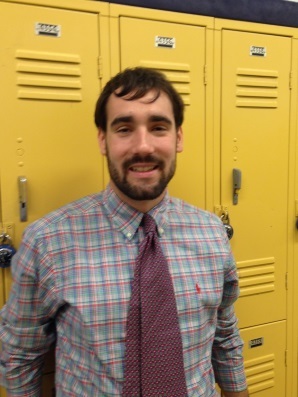 Zach embodies our mission as he teaches in the math department and helps with our technology integration. For three years he served as the coordinator and tutor for Title I services. He helped our students who needed remediation so they could succeed in our math curriculum. By organizing the program well, he also helped teachers and parents support the students. 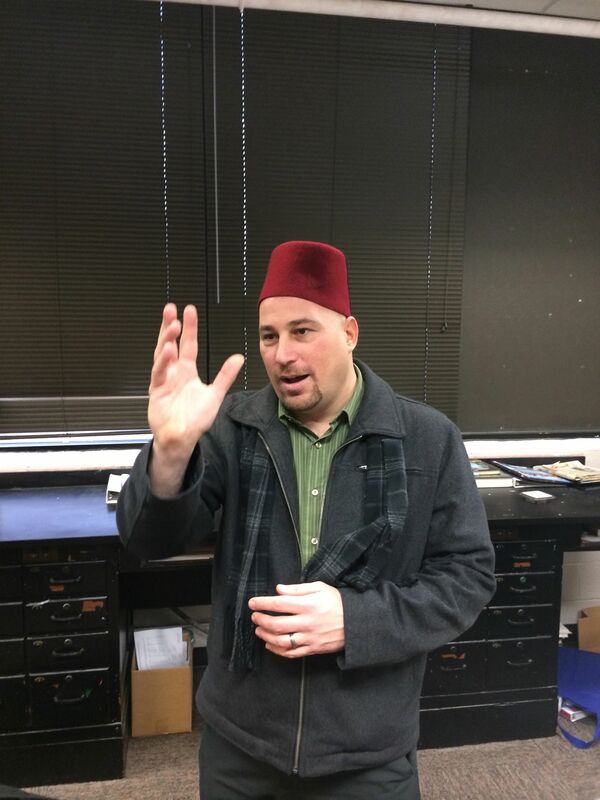 In the Algebra and Geometry classes he teaches, he works collaboratively with other teachers to plan and implement a rigorous curriculum that enables students to develop their confidence and skills in order to think critically and solve problems. This year he has taken on a new challenge by developing computer science classes so our students can learn coding. He was willing to take the training necessary to make this course a reality and fill a gap in our curriculum. 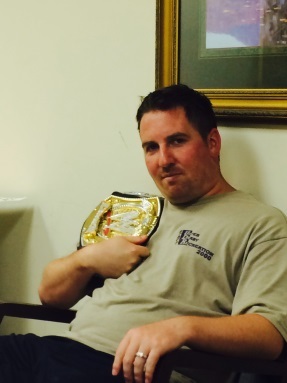 Zach also serves as a key person in our technology integration department. This year, all teachers and students have an iPad to use as a teaching and learning tool. Zach has a calm and patient demeanor that quiets the angst that many feel as we move further into the world of technology.